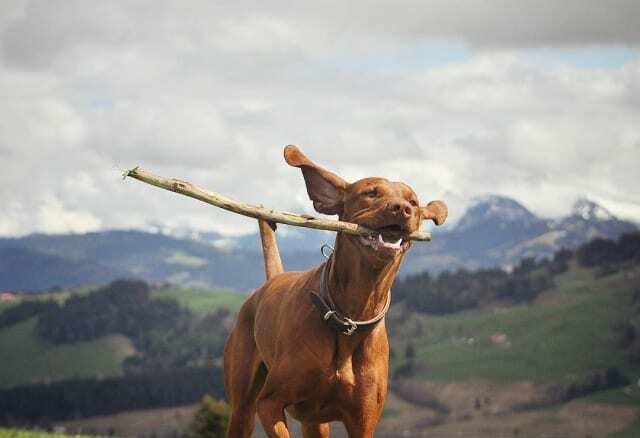 Every vigilant dog owner knows that diet plays a huge role in their pup’s physical health, but how about their behavior and mental well-being? My own vet believes that poor or incomplete diet could be to blame for a vast array of issues our pups experience, from anxiety to obsessive licking. If you have an excessively active or hyper dog, making a few of these simple changes may help him (and you!) get some rest and relief. The same sugar rules that parents use with their children can also apply to our dogs: everything in moderation, or, the less, the better! If you feed your dog a pre-packaged diet, check the sugar and carbohydrate contents on the label. 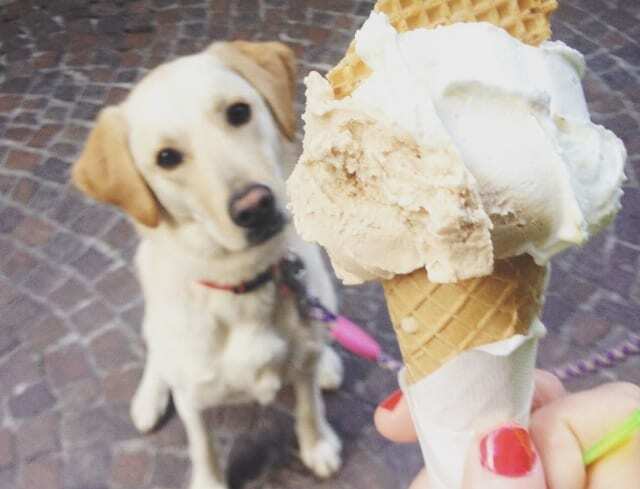 Excess sugar can cause dogs to feel hyper and unfocused, not to mention long-term issues like obesity and diabetes. According to the National Research Council of the National Academy of Sciences’s 2006 study, “Nutrient Requirements of Dogs and Cats,” a dog’s diet actually doesn’t require carbohydrates at all. Not that they don’t want carbs. Dogs are indeed omnivores, but a mixture of healthy fats and proteins are enough to sustain a canine. 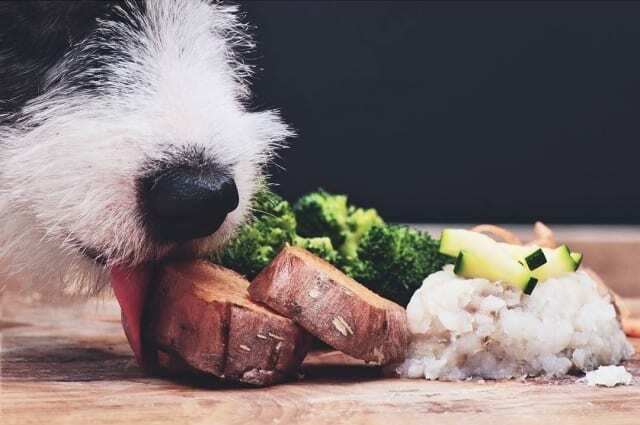 Healthy grains and fructose from fruits and veggies are excellent energy sources for our pups, so don’t think your dog has to go full-on carnivore! 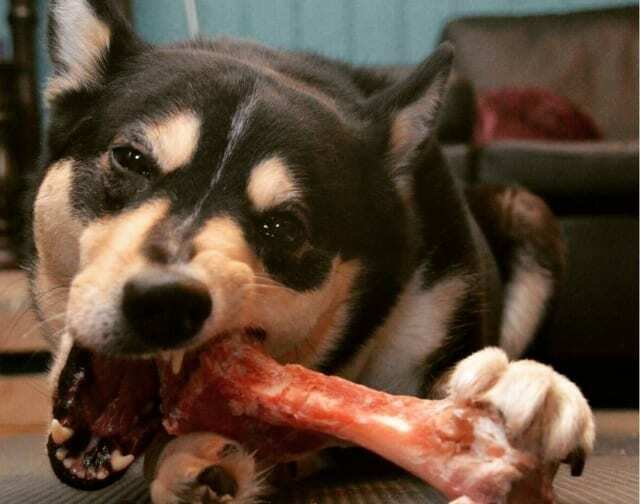 Historically, about 14% of our dogs’ ancestors’ diets consisted of carbs. Today, most packaged dog foods contain 46 – 74% carbohydrate in the form of corn or grain. Why? Because these ingredients are abundant, long lasting and cheap. Although not all dog food is cheaply made and full of sugar, be sure to check the label. You can also ask your vet for a recommended macro-nutrient breakdown (carbs, fat, protein) to accommodate your dog’s breed and lifestyle. To take your dog’s diet into your own hands, you could prepare all-natural meals. With a home-cooked diet, you have the benefit of slowly eliminating different ingredients to see which may be causing potential problems. Most diets call for a variety of fresh meats, vegetables, optional grains, and added vitamins. Be sure to consult a professional before beginning a home-cooked diet to ensure you meet all of your pup’s dietary needs. Protein is a major energy source and vital to a healthy diet, but dogs predisposed to hyperactivity may become too fueled by it. A healthy amount of protein for one dog may cause a behavioral issue in another. Vets recommend gradually decreasing your dog’s protein intake and monitoring for improvements. Although diet can certainly play a role in canine behavioral problems, never underestimate the power of exercise. Some dogs are satisfied with a morning walk, while others need many vigorous play sessions and room to run in order to feel calm. Click here to see ten of our favorite dry dog foods.